Contact [email protected]with any questions. This conference is intended for professionals working with infants and families in the Neonatal Intensive Care Unit. Providing care for an infant in the NICU requires a multi-disciplinary approach and often, the lines of communication can be blurred, impacting the treatment of the infant. This collaborative conference will serve to further unite the different disciplines (medical, social work, rehab, nursing, case managers, etc.) working with these infants and create a more cohesive environment for treatment of the infant in the NICU. This activity strives to further educate and empower the above professionals working in the NICU on several key subjects that impact overall neurodevelopment: impact of the NICU on the infant and family, nurturing that infant/family relationship through the stress of a NICU stay, pain reduction, lactation and human milk feeding, and handling/positioning of the infant with fragile bones. Name 7 Neuroprotective Core Measures of Family-Centered, Developmental Care that may affect later developmental outcomes for infants. List three ways to enlist parent involvement in the care of their infant and describe how these interactions can affect the parent-infant dyad long term. Discuss potential benefits of preventing low milk volumes in at-risk mothers. Discuss adaptations in care the bedside professional can make to ensure optimal Neuroprotection for the high-risk infant in the NICU. List 3 keys to success when influencing change in the NICU. Identify 3 evidence-based, interventions that promote culture change in the NICU. Describe the impact of meaningful NICU stories in culture change. Describe the benefits of human milk for the at-risk infant. Discuss the evidence for an association between human milk and improved neurodevelopmental outcomes in neonates. Differentiate the evidence for mother’s own milk versus pasteurized donor human milk. This activity has been submitted to Children's Healthcare of Atlanta to provide contact hours. Children’s Healthcare of Atlanta is an approved provider of continuing nursing education by the Alabama State Nurses Association, an accredited approver by the American Nurses Credentialing Center’s Commission on Accreditation. 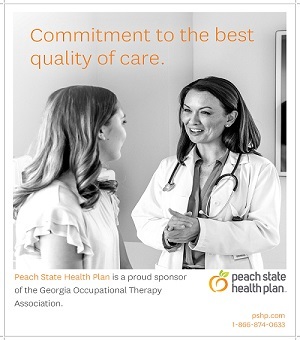 Continuing Education Credits have been applied for/approved through the Physical Therapy Association of Georgia(PTAG) for 7 contact hours forPhysical Therapists. These credits may apply toward licensure in other states. This program is also approved for 7NASW-GA Core Hours by the National Association of Social Workers (NASW). 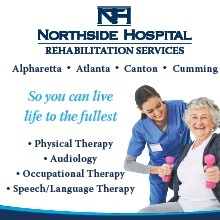 Direct contact hours have been applied for/approved through the Georgia Occupational Therapy Association(GOTA) for 7 contact hours for Occupational Therapists. These credits may apply toward licensure in other states. All programs are intended to be accessible to all persons. If you have a disability and require assistance in order to fully participate in the conference activities, call the conference coordinator to discuss your specific needs.